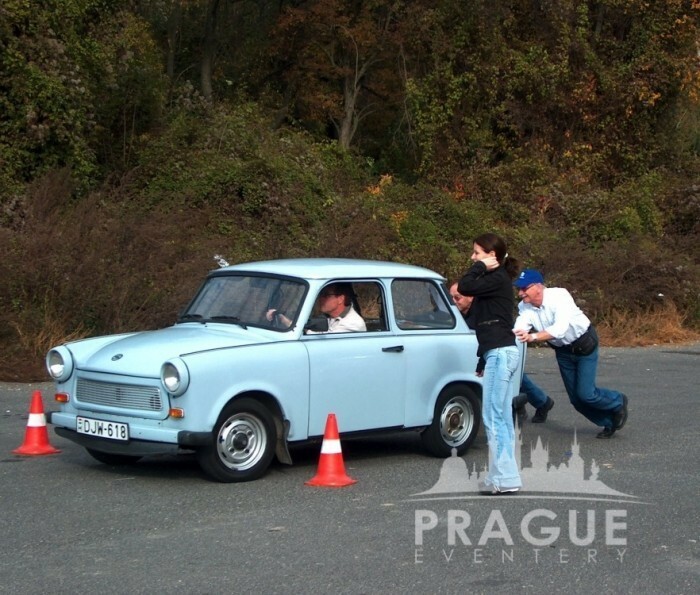 « Previous "Rafting" | Next » "Prague Photo Rally"
Over 3 million Trabants were produced and delivered in communist countries from its launch in 1958 until the end of production in 1989. 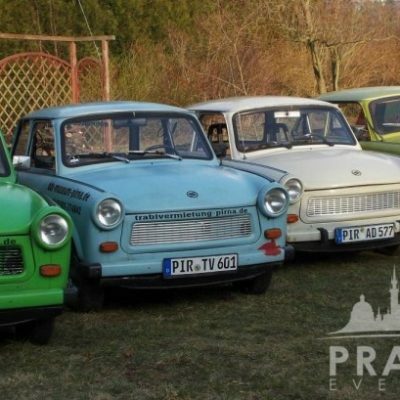 The latest Trabant models delivered just 19 kW (26 horsepower) from a 600 cc (37 cu in) displacement. It took 21 seconds to accelerate from 0 to 100 km/h (62 mph) and the top speed of the two-stroke engine was only 100 km/h. 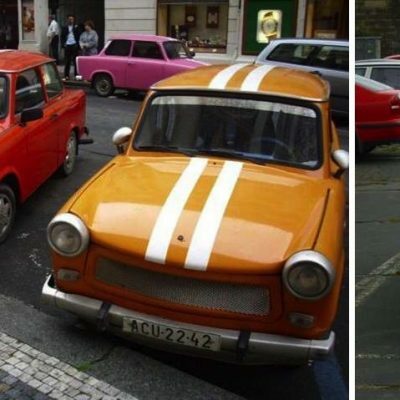 Do not miss the opportunity to enjoy an unforgettable ride in this unique car. 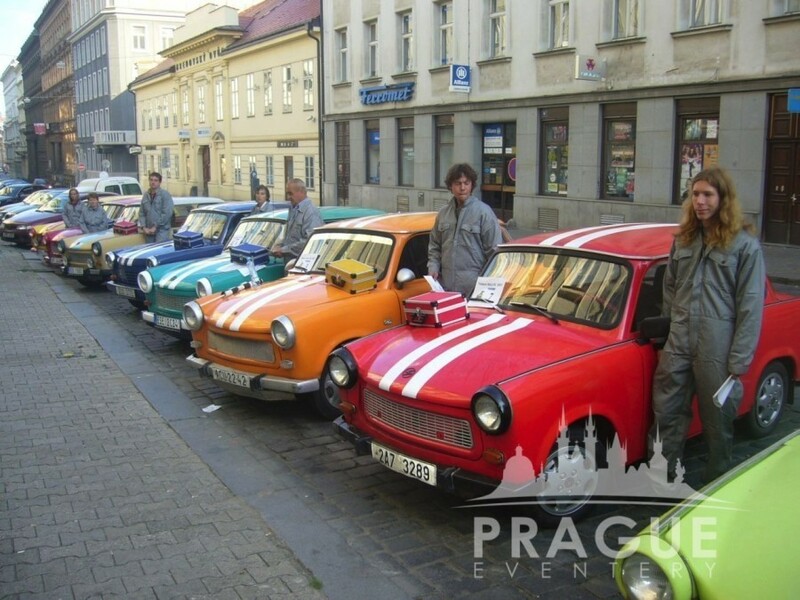 Your Trabant experience will begin just in front of your hotel. After a short briefing you will be divided into teams of three members. 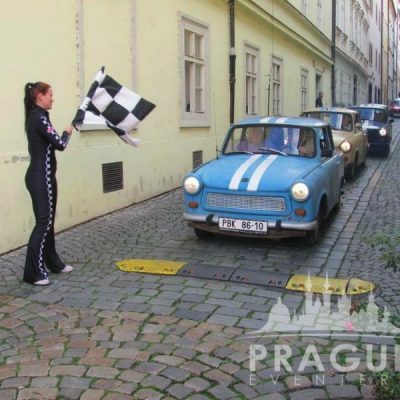 Each team will receive a map of Prague, a road book, a digital camera, a Trabant car history booklet, and their own Trabant with driver. 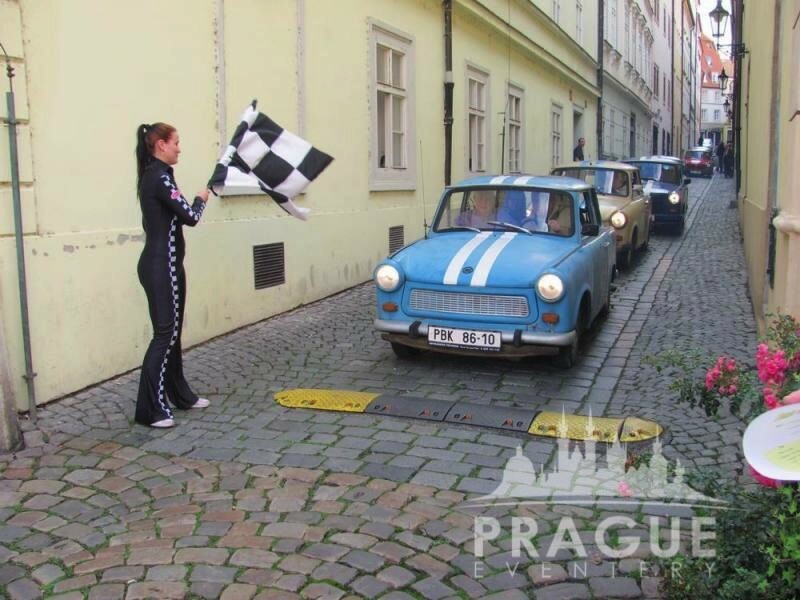 Your goal will be to navigate the driver to checkpoints located in Prague. 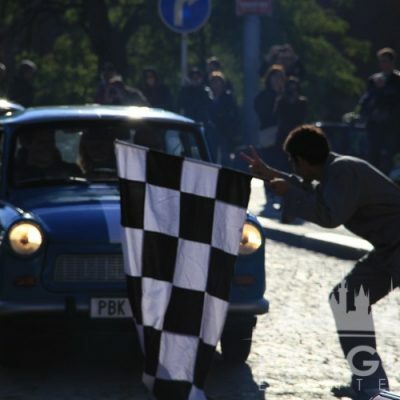 On each checkpoint you will compete in various amusing games such as singing a song, making an action photo with your Trabant, loading the carriage, blind slalom, pushing the car without engine, and many others. 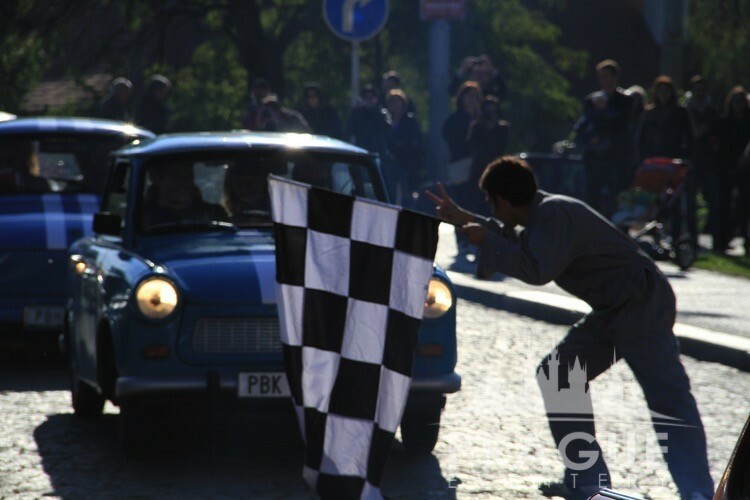 On the last checkpoint you will have an unrivalled opportunity to drive the Trabant on your own. 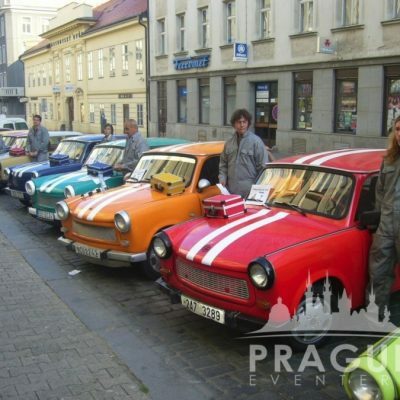 Only the best Trabant team can win the competition and get beautiful little models of Trabant cars! The duration of the program is scheduled for approximately 2½ -3 hours.